We are a leading web designing company in Kochi(Cochin),Kerala, India specialized in providing complete web solutions for all business relating to any industry.Our web designing services extend to all industry and we are specialized in providing the most economic rates for the web solutions keeping in mind the budget of our customers. 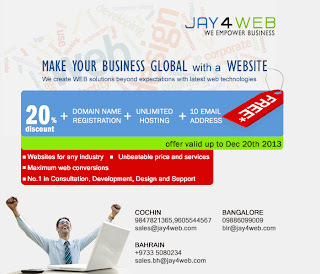 Jay4web is a professional and creative web development company in Cochin having more than 10 years’ experience in web solutions. We live in the world of smartphones, nearly 2.5 billion people use it and this will reach over 4 billion by coming years. Each of us uses our mobile phones to connect with people, buy and money transaction or many other things. Not only smartphones other devices such as iPad, tablets which are commonly used by users. 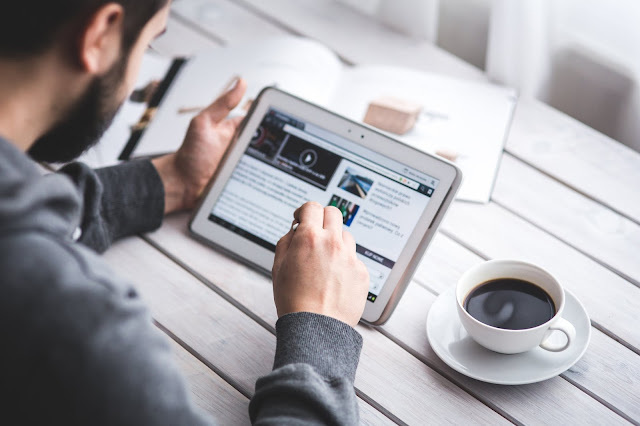 That’s why a website optimized for mobile devices and others are important for your business, as this can help to interact with them and improve your brand image and credibility in the market. 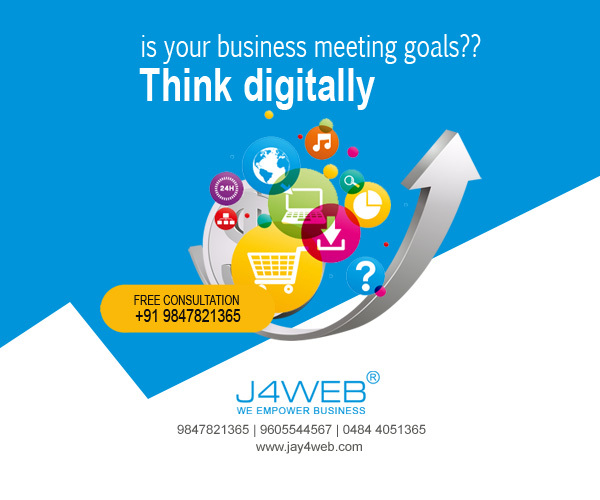 Why digital marketingstrategy is important for your Business growth? The drastic change in consumer habits due to the ascent of online networking lead to the growth of digital marketing industries. What customers want today is different than what they wanted 10 years ago. Today, digital marketing industry in India is growing at its peak, and it’s still continuing at the same rate. Many factors are responsible for this growth. Internet and 4G penetration revolutionized the marketing scenario for both consumers and the marketers. Both from small business to large is making use of digital marketing techniques to improve brand awareness and sales. Marketing of brands, products or services using digital technologies such as Mobile Marketing, Social Media Marketing and Search engine marketing with efficient methods to analyze marketing campaigns and understand what is working and what isn’t – typically in real time.